This name is shared by 2 bands; 1) From the ashes of Elephant Ride, Andrew Paul Woodworth formed a new band Virgil in 2000. In 2001, Virgil released its debut album, Virgil, and then "My Paradise" (2004) and quickly carved a niche for themselves in the alternative rock scene. In 2004, Woodworth was honored with "Male Vocalist of the Year" at the LA Music Awards, and Virgil took home the "Independent Rock Album of the Year" Award. 1) From the ashes of Elephant Ride, Andrew Paul Woodworth formed a new band Virgil in 2000. In 2001, Virgil released its debut album, Virgil, and then "My Paradise" (2004) and quickly carved a niche for themselves in the alternative rock scene. In 2004, Woodworth was honored with "Male Vocalist of the Year" at the LA Music Awards, and Virgil took home the "Independent Rock Album of the Year" Award. During that year, Virgil's music was heard on Television, including Roswell, ESPN, and Buffy, The Vampire Slayer. They also had an on-camera performance on Buffy, The Vampire Slayer. Movie theatres across the country also pumped Virgil music through their audio programs, in addition to showing their music video on the big screen in the Top 50 US Markets. Virgil signed with an indie label out of Texas, after a performance at SXSW. After a six month run, the label lost its financing and Virgil was on its own again, and Woodworth began a solo carrier. 2) ????????? 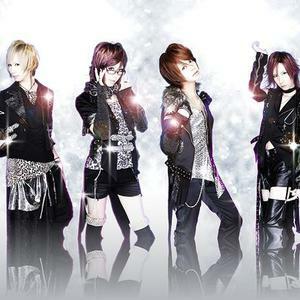 ?Virgil (Virgil) is a new visual kei band from Japan, currently releasing via SPEED DISK DISTRIBUTION.